ST- What were your favourite books/ authors as a child? When did you decide books are your calling? Mala - As a child I read whatever I could lay my hands on-- and there wasn't much in the way of children's books! We never checked who the authors were. But I started writing and loving the process of recognising my thoughts and turning them into what I thought were funny pieces when I was in school. Some of them got me reprimanded by teachers, but many did get published when I was in college. And then started my journey as a freelance journalist and educational consultant. It was only about 15 years back that I realised that books - specifically, children's books - were my calling. You wear two hats at work- editor and writer- how does this affect either role? As an editor, which is my day-role, I appreciate good writing which is specially relevant to our publishing plans. So, even if we have to reject stories, or suggest changes, I do appreciate and understand the contributor's views. The writer surfaces at odd hours! The mental drafting happens anywhere and at any time, but the writing happens only in the evenings or on holidays. The editor in me does, sadly, banish many ideas even before they are fully formed! Tell us more about your journey with Pratham Books so far? Did you start off as an editor or a writer? What do your roles entail? I started off as a consulting editor at Pratham Books. Since I had conducted recreational maths workshops in schools earlier, Pratham Books suggested I write a set of books on maths. 'Happy Maths was thus born. Very soon I was working full-time as an editor. As a small team then, we all multi-tasked. And loved it. We still multi-task. As one of the editors, I plan our list, commission authors, select illustrators, give them briefs on each book, and then send it out for translations. We also talk to potential authors, illustrators, translators, storytellers and champions to take our mission forward. And a whole lot of other things too, of course. 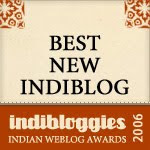 How did you come up with the wonderful idea for the money series and the really cool Indian take on seasons? When we see our books being used in distant and remote parts of the country and in the poorest of homes, we see the power of books as a tool to change lives. Money is a word all children know. 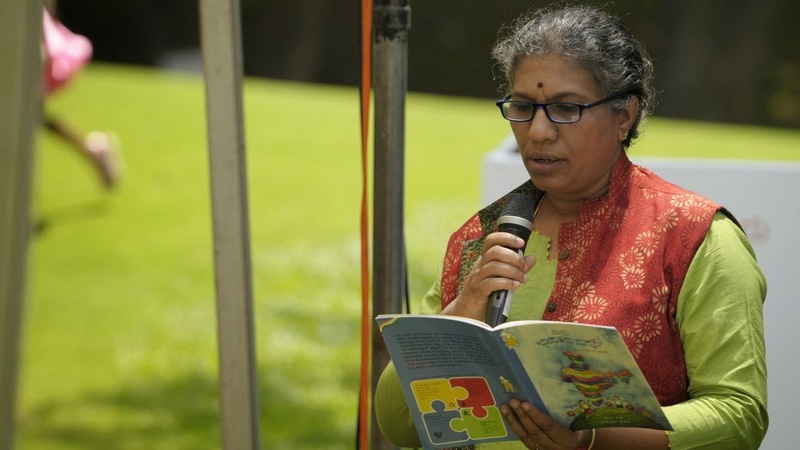 As innovators in the field of children's publishing in India, at Pratham Books we saw an opportunity to touch upon subjects that children needed to know but could not find anywhere. Rather than wait for children to become competent readers and then tell them about finance, we decided to make financial literacy so simple and clear that young children would learn to read, find the joy of reading AND get some money sense all at once. For the Rupaiya Paisa series, we had a workshop with some excellent participants. I wore my 'journalist' hat, digested all the information, did a lot of research, and then wrote the books, even though I have no foundation in finance. Then, I edited it along with my colleagues. There is so much one can write about the seasons! Our aim was clear - to keep it simple and clearly rooted in India. I decided to start with a child planting a sapling in spring. Then, with my colleague and co-author Manisha Chaudhry, the books just took off. The Rituchakra series looks at the seasons as they change, one book at a time, and the tree features in each with its own development. 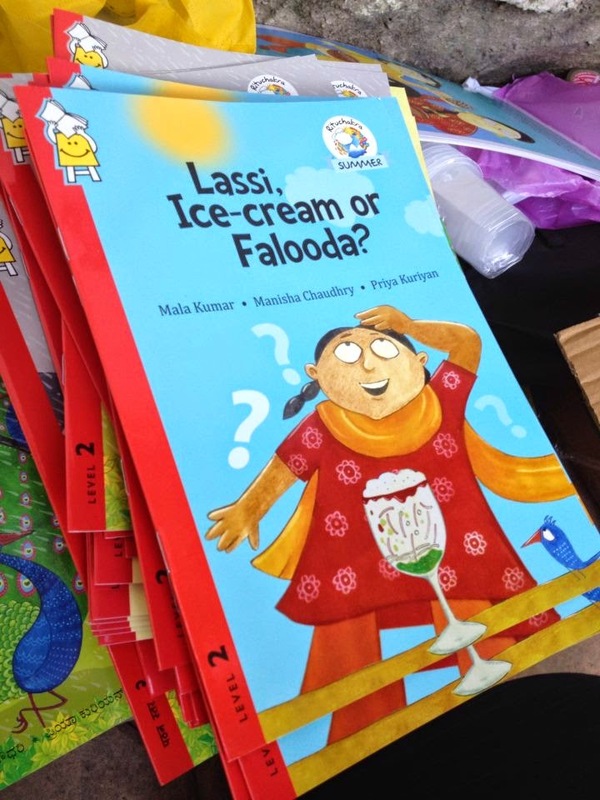 Since Pratham Books offerings are multilingual and have to connect with multiple strata of children-are there guidelines/constraints you need to work within? We do have to keep several points in mind. A story in verse does not translate well in all languages. So we avoid them, or in some cases, do them only in a few languages. Word-based stories and puns fall flat when translated. Idioms add style to stories, but since they do not translate well either, we are aware that each translator has to use idioms in places appropriate to their language. We do have to retain an inherent sensitivity when we look at stories to ensure that we're making every child, whichever strata she may be from, feel comfortable while reading our books. Being largely in the realm of picture books, how do you identify and collaborate with the artist? We receive portfolios of work from many illustrators. We evaluate each artist's strengths and use the ones most suited for a particular manuscript. Tell us your favourite picture books from the Pratham Books stable and why? Oh, there are too many! And each for a different reason - good storyline, great illustrations, personal quirk, the story behind the genesis of the book and so on. But here are some ; The Royal Toothache for its universal child-like appeal, Can & Can't for its simplicity, City of Stories for the late Bindiya's illustrations, Bishnu the Dhobi Singer for the character, Daddy's Mo and My Two Great-grandmothers for their story and art, and so on. Of my books, I love Ruchi Shah's artwork for Paper Play, and am really proud of our team at PB and the illustrators and designers for getting out the Rupaiya Paisa series. Would love to hear your thoughts on offering history through well-written children's books? Any recommendations Pratham or other publishers? We have a well-loved set of books called the History series by Subhadra Sen Gupta and illustrated by Tapas Guha. A Man Called Bapu and We Call her Ba also tackle history. Any other thoughts on books, kids , reading.....any anecdotes, magical memories? Too many magical moments around books and children! In all my interaction with kids, there is so much magic! They look at a picture and make up stories. They try to read one single word and a whole group of them start giggling. 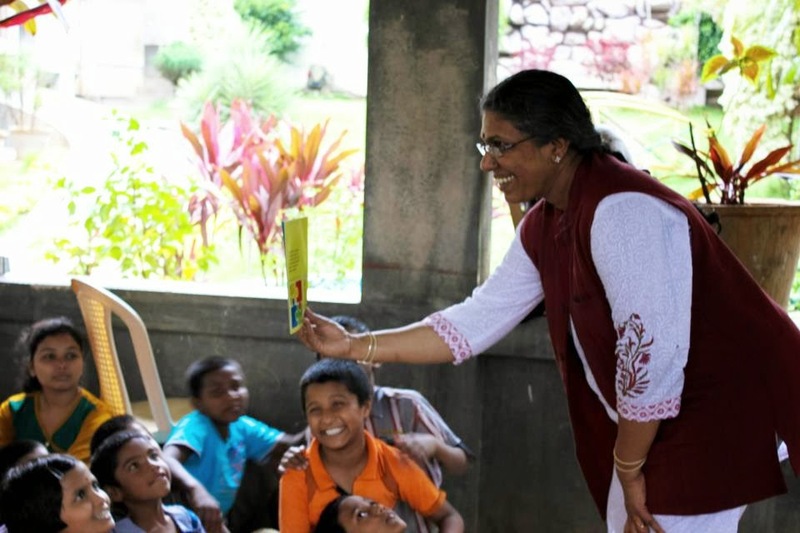 At storytelling sessions the questions children ask are so enlightening, it makes one want to give them more and more books so that their minds come up with more questions. Saffron Tree is doing a wonderful job spreading the fragrance of books and reading among children and parents. Thank you ! THANKS A LOT MALA FOR THE WONDERFUL INTERVIEW. That was an interesting read - thanks Mala and Art! Also did not know about the book about Ba, will check it out asap.